A last-minute cram plan for the AP World History exam! 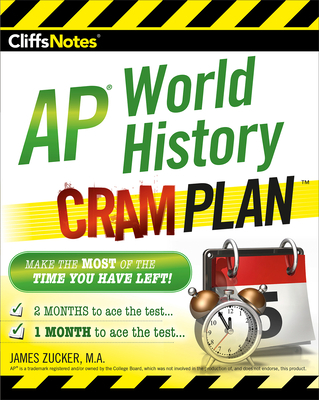 This new edition of CliffsNotes AP World History Cram Plan calendarizes a study plan for the 265,000 AP World History test-takers depending on how much time they have left before they take the May exam. JAMES ZUCKER is an AP World History exam grader and consulaltant for the College Board. He has taught AP World History at Loyola High School in Los Angeles for more than ten years.